​Did CNN just annex Ukraine for Russia? Either CNN has inside information on a sinister Kremlin plan to occupy all of Ukraine or it made yet another blunder. In a new report on challenges facing Europe the news channel apparently marked the Eastern European nation as part of Russia. 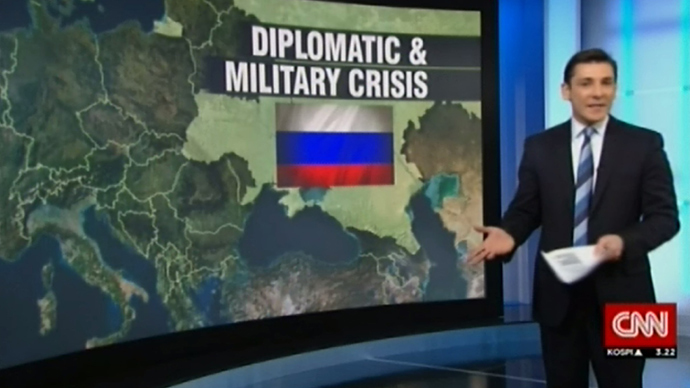 CNN is no stranger to making awkward mistakes in its coverage of the Ukrainian crisis. Last week it labeled the Ukrainian Army and National Guard as “pro-US troops” in a report on the possibility of Washington providing lethal arms to Kiev. The channel has since apologized for the blunder, which some critics labeled a Freudian slip of the tongue. On previous occasions the US-based news channel took liberties about Ukraine’s geography. Once it shifted the entire country all the way to Pakistan. On another occasion it mistakenly showed the city of Slavyansk, eastern Ukraine, as being located in Crimea.